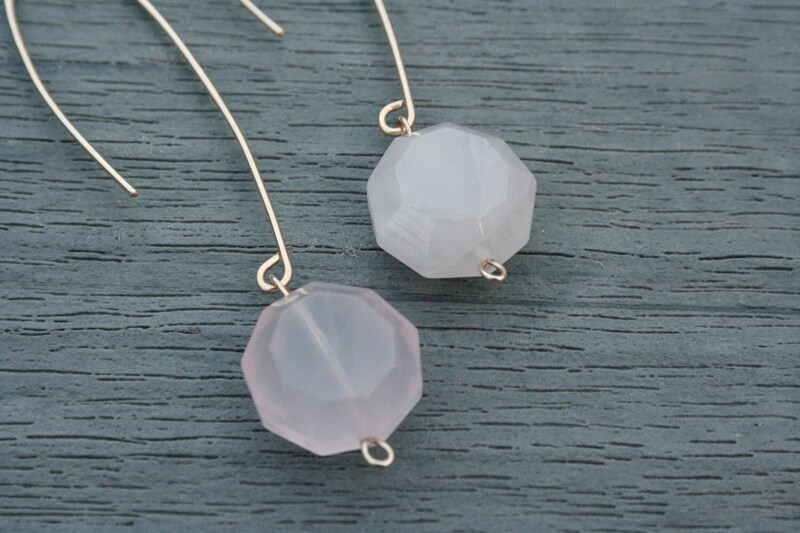 A single faceted rose quartz stone hangs from a delicate ear wire. 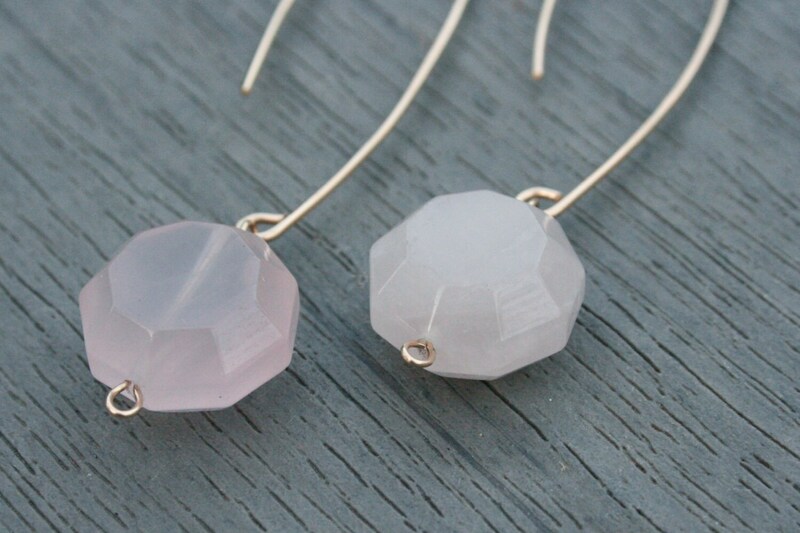 These pale pink stones are known as the stone of love. 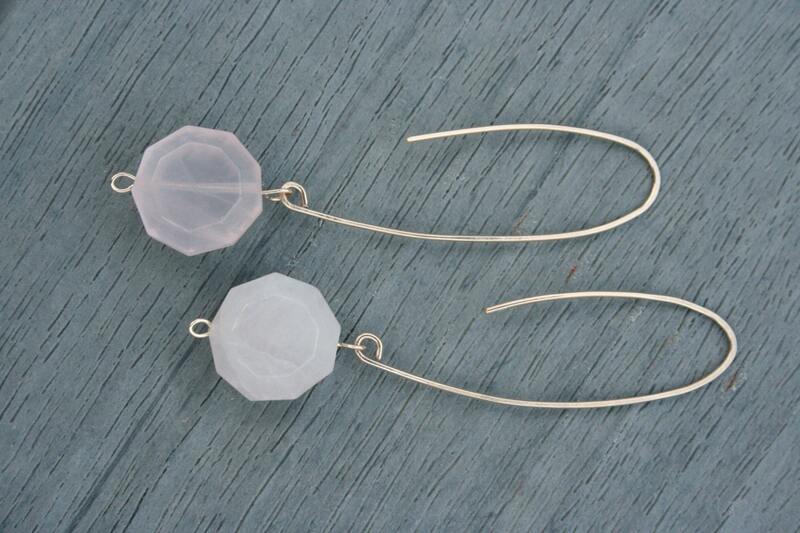 The inner peace rose quartz is believed to bring can dissolve fear, insecurity and negative energy. It encourages the heart to open up to love from all around and to notice beauty in all things. 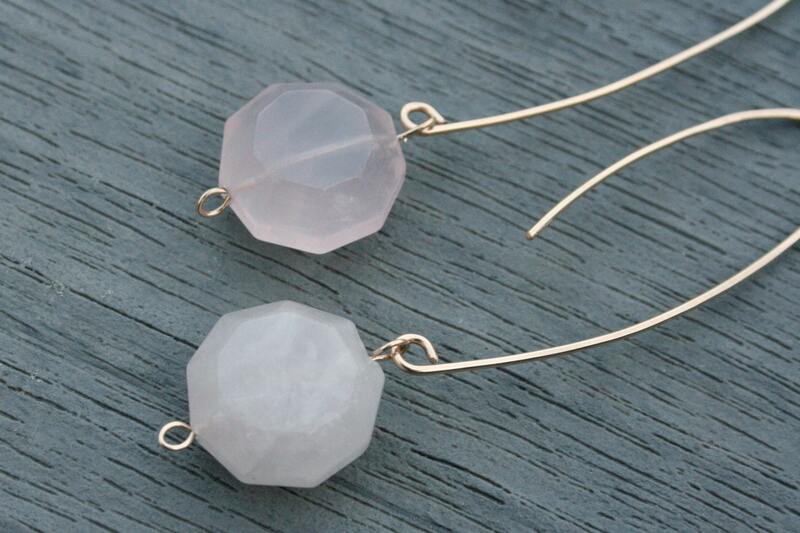 Each faceted rose quartz stone dangles from a delicate 14K gold-filled ear wire. Ear wires are hand-formed from 20 gauge 14K gold-filled wire and hammered to give a unique finish. The wire has a beautiful texture where it has been hammered, and is shiny where it has been left round. These earrings are lightweight and are a beautiful statement for any occasion.. A perfect accessory for a elegant, strapless dress or even for dressing up a t-shirt! Earrings are approximately 2.75" in length.